10 Reasons to Love D.C.
Hush floated over the sold-out stadium as she paused in between songs. Gracefully catching her breath, Beyoncé looked out into Heinz Stadium in downtown Pittsburg, Pennsylvania and offered a glowing smile. She raised her microphone to her lips to speak out gratitude, for she thanked the crowd several times for attending her The Formation World Tour, for allowing her to be in our presence that night as if we were doing her the favor. After, she noted how she feels like a woman’s woman, meaning her actions, personal and professional, aim to uplift, inspire, and motivate other women to achieve their dreams. Her humility transcended the nearly five-hundred-foot distance between us and I felt as though she was speaking directly to me. Call it narcissism or an extreme case of appreciation for Queen B, but I felt as though we were the only two people in that filled stadium, that she sensed my apprehension for the future as a recent college graduate and traveled across the country just to reassure me, as any attentive and dedicated friend would. That’s what being an audience member in a Beyoncé concert is like. You feel engulfed in a sea of strangers, sweating and dancing on top of each other, trying not to slosh your ten dollar beer on the arms of those around you. You feel connected. Habitually early, my mother, my sister Alexandra, my best friend Emily, and I arrived at the stadium around 4 p.m. for an 8 o’clock show. Amping ourselves up with backseat karaoke, we belted “Freak’um Dress” and “Single Ladies”, two of our favorite Beyoncé hits. Arriving at the venue, the electric energy is borderline intoxicating as security guards usher you into the neatly labeled sections of the over-powering stadium. We hiked up the flights of stairs to our nose-bleed seats. And then we waited. Yes, we may have indulged in an alcoholic beverage (or two); yet, a consensus existed within our group: if Beyoncé was to grace us with her performance, we would swear to be on our best behavior. As the hours dragged on, the seats began to fill. Women and men alike donned Formation Tour appeal; some even re-created her iconic Formation look, sporting an oversized black hat with millions of silver necklaces stung along their neck. Finally, as the sun began to set behind the stadium, a revolving block began to spin. Images from Lemonade projected themselves on the stage’s screens as her dancers filed into place. The first few cords to “Formation” rang out as every audience member shot to their feet. Beyoncé stormed the stage, belting out the opening lines to the in-your-face song which serves as a rallying cry for all women of color. This is when the tears began to flow. Immediately, as Beyoncé rose to the crowd posed in her signature hand-on hip-stance, my eyes filled with excitement and tears spilled down my face. Quickly, I said goodbye to my precisely applied winged-eyeliner, for I accepted that looking good is not the main objective of the night: riding the tremendous waves of emotions was. As she transitioned from song to song, some old classics from her Destiny’s Child days and others from her latest album, I hung to every word and screamed her lyrics back to her. Such behavior is customary, for briefly taking my eyes away from the stage to survey the rest of the stadium, I noticed that everyone that could, was standing, jumping, and dancing. Hosting a party for 20,000 people is quite the feat; yet Beyoncé does so unknowingly (or perhaps, very knowingly). Worrying about boyfriend problems, troubles at work or even finances fade from the mind as Beyoncé creates two hours of pure escape in which only her and her music exist. She offers you a trip into her reality, one filled with personal family videos which capture her husband Jay-Z holding their daughter, Blue Ivy, for the first time. As an audience member, I felt privileged. Privileged to peek behind the curtain and glimpse, even for a moment, into the personal lives of such a private family. Privileged to share the same space with a woman I wholly admire, not just for physical beauty (which, believe it or not, she truly is more stunning in person), but for her work-ethic and messages of empowering other women. Attending a Beyoncé concert is a privileging experience, for you walk away feeling more inspired, driven, and excited to chase your dreams. A Beyoncé concert is a religious experience. Yes, this claim itself may seem sac-religious; yet, the rejuvenation one endures when taking the journey that is this concert feels like attending church. In very few venues does a comradery, a mutual connection, and understanding live within the masses, for we are all joined by forces greater than our individual lives. Undoubtedly, I recognize the greatness of this claim, for some will say this is just how extreme her fandom is and proof as to how over-hyped her career has become. To those I say this: just attend one Beyoncé concert. 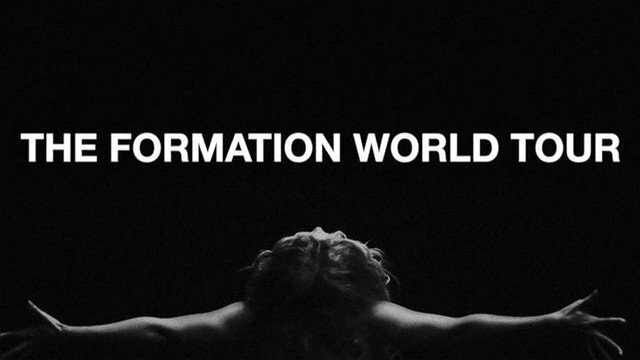 Be it The Formation World Tour or one in the future. Stop and observe; take in the energy caused and because of her. If this doesn’t sway you, then perhaps her angelic rendition of “Halo” will, a song she closes her show with, admires the crowd one last time, bows her head, and skips off-stage.